The volatile U.S. multifamily housing market has returned to pre-recession investment levels, driven largely by millennials putting off home-buying and settling for rentals, but in the long term it will be baby boomers that will drive the market as they downsize, according to the Kansas City Federal Reserve. Millennials, those born between 1980 and 2000, have shown strong interest in apartments as the economy has recovered, partly because of a preference for city living but also because they are delaying marrying and having children due to debt and unemployment. Kansas City Fed senior economist Jordan Rappaport wrote in a report that the share of young-adult households renting apartments in multifamily units decreased from 2000 to 2007 when looser mortgage credit standards and expectations of rising house prices made home ownership more attractive, but the share has since returned to normal levels. Older Americans, meanwhile, are “increasingly downsizing” to apartments, generally beginning around age 70 and doing so more often by age 75, Rappaport wrote. The oldest baby boomers will turn 70 next year, and the number of Americans aged 70 and older will increase by more than 20 million in the next 15 years, the Census Bureau projects. 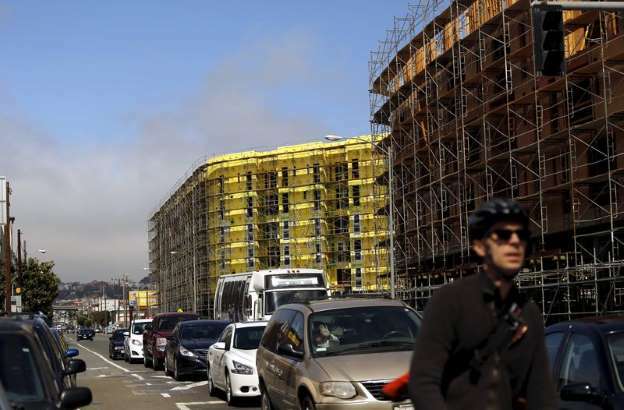 “In consequence, multifamily home construction is likely to continue to grow at a healthy rate through the end of the decade and thereafter remain well above its level prior to the housing crisis,” the report said. Building permits for the multifamily segment soared 24.9 percent in May, and permits for buildings with five or more units reached their highest level since January 1990. The report said that builders would need to adapt to the changing trends because while millenials lived in compact city spaces, older buyers tended to want more space and amenities.